The seasons are rapidly changing in Rocky Mountain National Park. Summer has begun its transistion towards fall. Signs of the changing season can be seen over the headwaters of the Cache La Poudre River. The tundra grasses are turning red in aniticipation of fall and the frozen meadows along the banks of the Poudre River are covered in a thick frost. 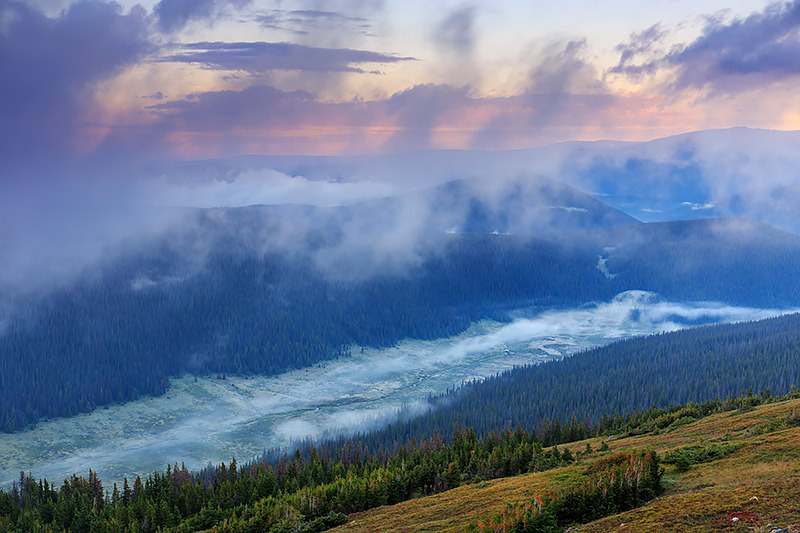 As the fog lifts from the Poudre Valley, Elk can be heard bellow ushering in the fall 'rut' with sounds of bugling from the forests and meadow below Trail Ridge Road. Photo © copyright by Thomas Mangan.